Copyright : The contents of this publication, including all figures, tables, and drawings, are the intellectual property of PROCASUR. All rights reserved. Removal or alteration of copyright notices or trademarks is not permitted. The distribution or reproduction of this publication or parts thereof for commercial use is not permitted without the explicit written authorization of PROCASUR. Citation : Hussain, M.G. and Hoq, M.E. (eds.). 2010. 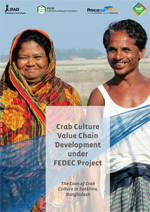 Sustainable Management of Fisheries Resources of the Bay of Bengal- Compilation of national and regional workshop reports. 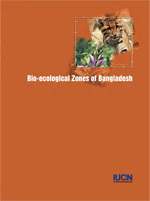 Support to Sustainable Management of the BOBLME Project, Bangladesh Fisheries Research Institute. SBOBLMEP Pub./Rep. 2. 122 p.
Reproduction of this publication for educational or other non-commercial purposes is authorized without prior written permission from the copyright holders provided the source is fully acknowledged. Reproduction of this publication for resale or other commercial purposes is prohibited without written permission of the copyright holder.